Wow! That’s what you’ll say even before you walk in the front door. This villa is one of the best built on Sandy Beach. Exquisite interior trims are superior to anything you will find in the market. 3 bed, 3 bath with over 3,000 square feet. Huge Master Suite. You will find nothing was held back in building of this luxury home. Private Jacuzzi and wonderful margarita deck with wet bar. Inside laundry, tiled floor in 2 car garage. Better then just a home with full access to resort amenities. Seller is motivated and will offer very short terms. Text or email for access today. Don’t miss this opportunity for your client. 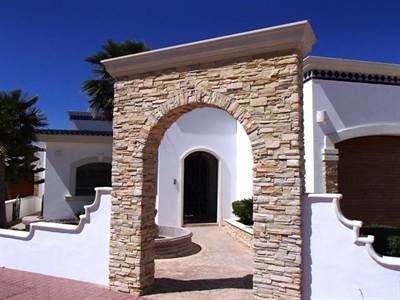 Previous Previous post: 350 Puerto Peñasco Ave. in Lopez Portillo, Puerto Penasco/Rocky Point is Rented/Leased!